For over two decades Benchmade Knives has been committed to designing and manufacturing world-class knife products. Their automatic knives set themselves apart from many other knife manufacturers because of the quality of the materials that they use, their patented mechanisms, and their manufacturing processes. 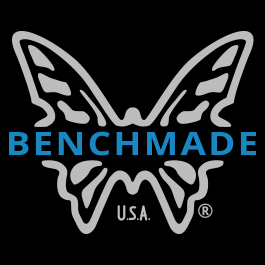 Benchmade automatic knives are some of the best available, and will give you years of service, meeting all of your automatic knife requirements. They pride themselves in the quality of materials used in their products and the remarkable craftsmanship and mechanisms employed during their creative process. Their factory employs modern laser cutters and CNC machining centers that offer control and tolerances commonly found in the aerospace industry.